The one thing about living in a small town like Cruces, is that there is always something going on that involves corn, chiles, or some type of farm activity. 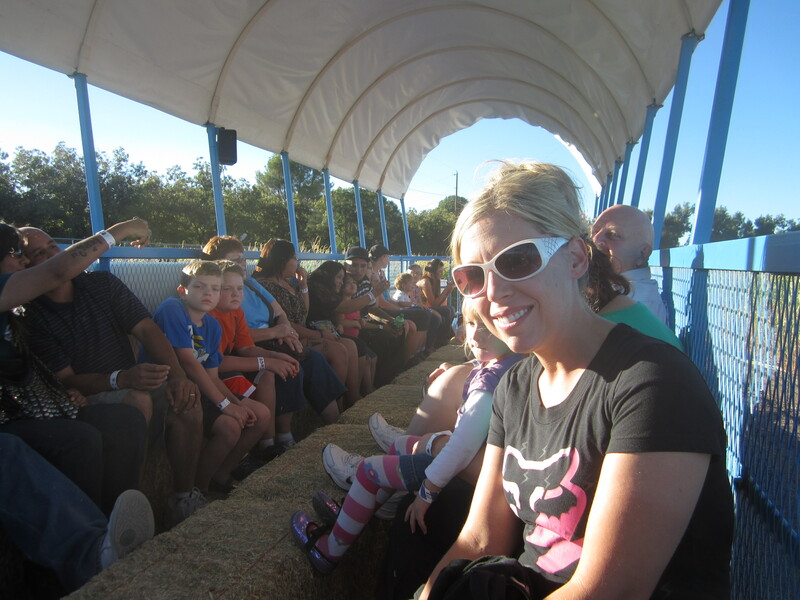 We are very lucky to have the Mesilla Valley Corn Maze down the street from us. Mike and I went a couple of years ago and had a lot of fun just hanging out and having a date night. We wanted to go again! It was really nice to hang with Mike because during the work week we hardly see each other. The weather was so awesome! Love me some fall weather. 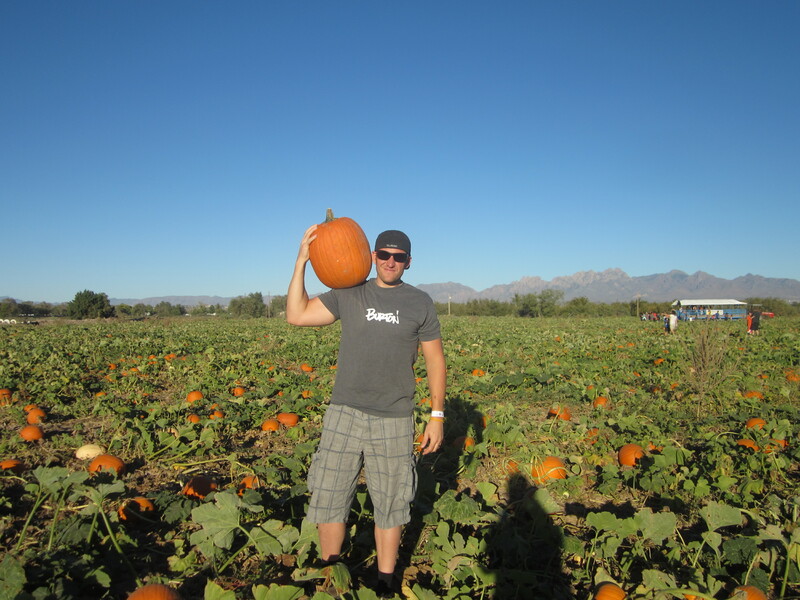 You take a hay ride out to the pumpkin patch to pick out a pumpkin. We weren’t planning on getting one, but still wanted to go look. Mike wanted to find a really big one that was “manly” looking for his picture. 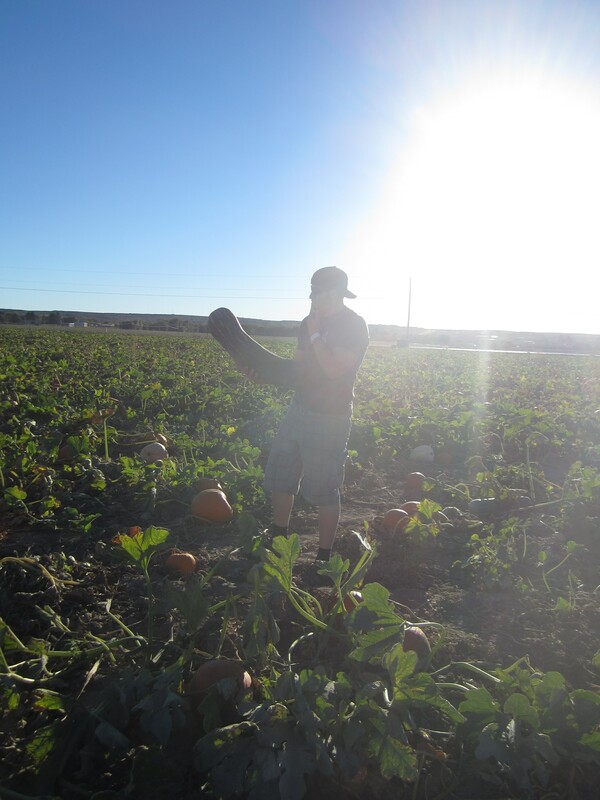 Of course, he had to make a remark and demonstrate as to why there were zucchini growing out there. 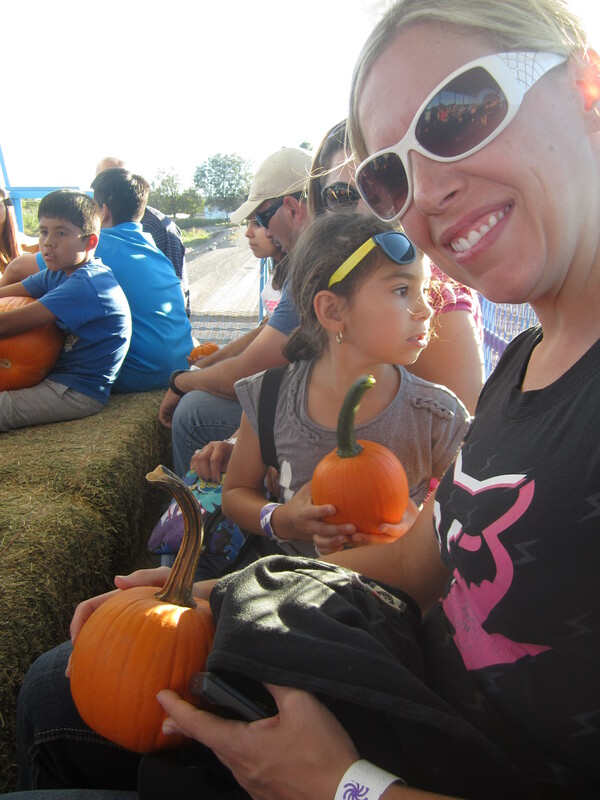 I loved this pumpkin because it had a Curly Q on top. The girl next to me got a similar one too. 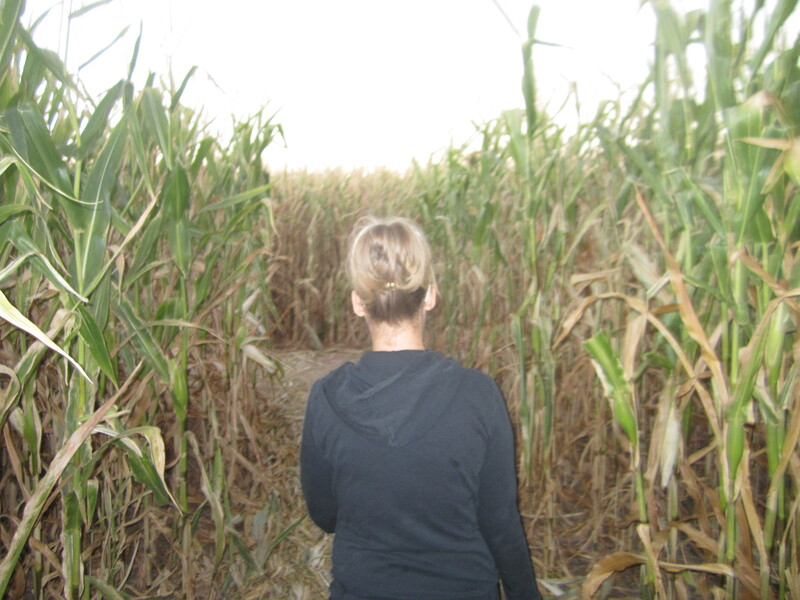 We were one of the last people to go in the maze and only had twenty minutes to find the lookout and then come back. The last time we went, we got a little lost. We decided to play it safe and just walk straight there and straight back. 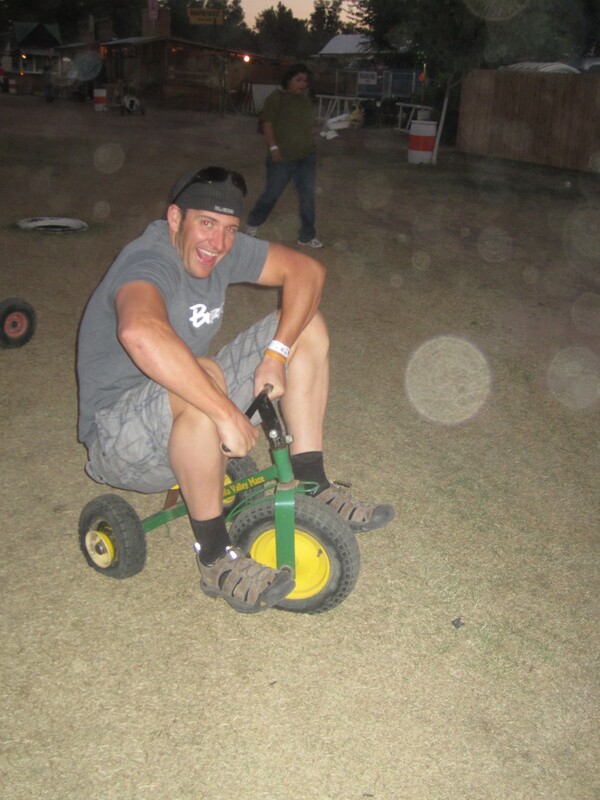 Of course Mike had to try out the little bikes. He was having a hard time getting this one going. We didn’t notices until we saw the picture that one of the tires was flat. That would explain it! 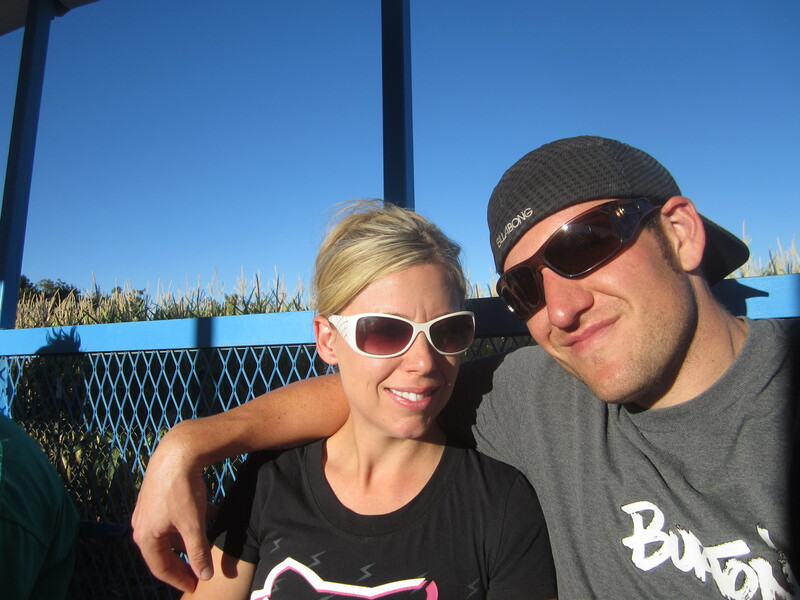 This entry was posted in Date Nights by thefasteryoupedal. Bookmark the permalink.